The haute hooch is not exactly new. Perhaps you read about its U.S. debut two years ago in the New York Times, or last spring when a certain Belltown blogger sampled the seductive spirit at Txori. I, on the other hand, have come late to the ardor affecting so many. 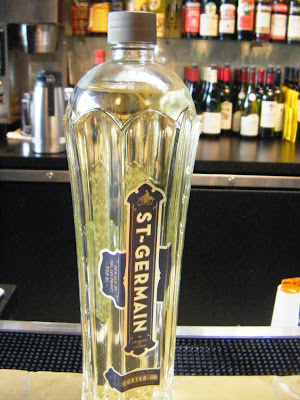 Brasa, Cafe Campagne, Flying Fish and Rob Roy are sponsoring a cocktail competition staring St.-Germain liqueur. Twenty bucks buys participation in a Belltown bar-crawl Monday, April 13 from 7 to 10 p.m. (tickets and details here). Four drinks later (bicycles and berets optional), you get to vote for the best of show. Of course, while you’re out lifting one it wouldn’t hurt to eat something. Oysters? Pate campagne? A stinky-cheese plate? Dessert? I bet I know where you can find those seductions, too.